Top fashion design graduate of one of the world’s leading Fashion Design schools, her award-winning talents are now exhibited through her haute couture designs – the Kelly NG Couture brand captures the very essence of sophisticated glamour. Each Kelly NG couture dress is a one of a kind signature Kelly NG couture garment, specifically tailored for each client’s measurements, body stance, and personal preference … with extreme attention to craftmanship and detail. 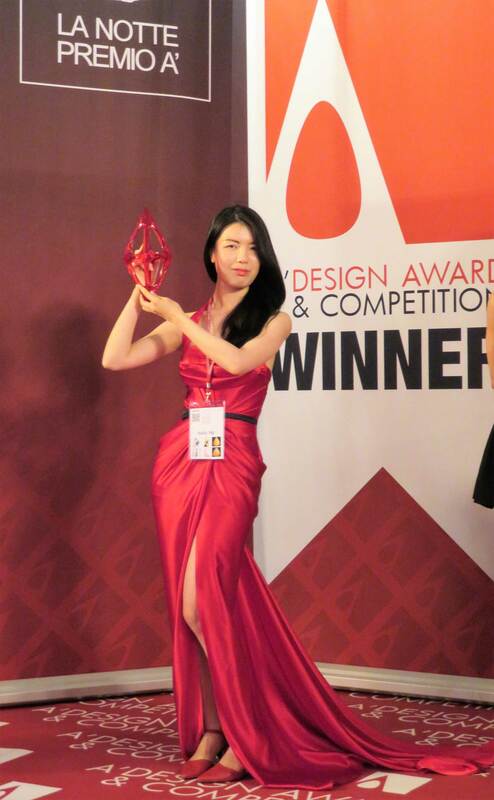 During Kelly’s master course second year at Bunka Graduate University in Tokyo, she was ranked as DAC top 10 World’s Leading Fashion Designers 2017/2018 in the Fashion, Apparel and Garment Design Award category, and a DAC top 5 Designer of the World in the performing arts, style and scenery design category, among all designers who have competed in the last 9 years, organized by the world’s largest design competition, A’ Design Award Competition. In December 2017, she was ranked as DAC top 1 World’s Leading Fashion Designer 2018/2019 in the Fashion, Apparel and Garment Design Award category. The DAC- Design Classification system ranks only the very best, award winning designers and brands in sector specific design award categories in order to highlight the top creatives in a design given field. Kelly NG created her namesake couture brand and opened her showroom and atelier in downtown Toronto in December 2017. In less than a year, Kelly NG has garnered attention for dressing Oprah Winfrey, Red Carpet Hollywood wins such as Oscars and SAG Awards, and collaborating with London’s Damiani and the House of Garrard, proud holder of Royal Warrant. Kelly NG is also the first Canadian designer featured on the cover of O, Oprah Magazine December 2018 issue, which is the biggest issue of the year. Kelly NG has also been featured in Vogue, Harper’s Bazaar, Tatler UK, The Hollywood Reporter, Wedluxe, Weddingbells, People Magazine, Style Bistro, Bastle, Indystar, TDN.com, Sioux City Journal, Extra TV, Popsugar Australia, Entertainment Weekly…etc. Kelly NG, the essence of sophisticated glamour, is revered for producing designs that are feminine, contemporary and perfectly unique. The haute couture brand is committed to innovation and the values of savoir-faire. With design and craftsmanship at it’s heart, each creation is skillfully designed and constructed by the most capable sewers with extreme attention to details, combining art and technologies to produce the most extraordinary pieces. Every woman who wears a Kelly NG couture garment is romantic, elegant and empowered. She is daring, one-of-a-kind, and one who never stops pursuing her dreams.